I want to dedicate this article to my exhibitor friends from all over the world with whom we have been competing for years and always with examples of great friendship despite any placings. “Never forget that when the horses that we ride win, it is because they are very good and when they lose it is the fault of us, the riders”. How many times have we heard in our show classes the phrase: “Riders – keep your horses in paso llano”, “Go slow”, “We have repeated countless times to present your horses in a slow gait”, “There is no need to rush”, “Why are you in a hurry?”. Other famous phrases are: “Do not push the horse in front of you”, “The next time you push the horse in front of you, you will be excused”, “Do not pass, Don’t cut the corners.” The question this article addresses is: Why do we exhibitors continue competing in this manner that tarnishes the competition? As an exhibitor myself, I will give you some ideas, realities and experiences that I have lived, to then give some alternatives and a conclusion that would allow eradicate this problem that leaves many judges, breeders, exhibitors, spectators and fans uncomfortable. To understand the problem we have to put ourselves in the scene of competition in an imaginary class. A class is initiated when the gate steward allows all of the exhibitors into the arena after the 3 gate calls have been made. All the entries have been reviewed by the veterinarian (in Peruvian competitions), enter and line up in center on a timely basis. Generally, at the beginning the judge (or call judge in a multi judge system) is located on the main straight of the arena to give the first glance horse by horse. This stage is very important because the judge generates the initial assessment through the initial view. At this point, the exhibitor is also trying to capture the greatest attention of the judge and the public in that small moment. It is very unlikely to see at this stage to an exhibitor pushing other horses in front of them, or trying to cover any exhibitor in that first lap. If that occurs, its usually by riders who are excited to enter the arena, or ones who are unaware of the importance of the “first impression” of the judge. In this stage of the class, the exhibitors are usually presenting in a fairly leisurely speed of gait. Having entered all the horses to the arena, they line up in front of the stands to be reviewed one by one without moving so that the judge can evaluate their conformation and presentation. Once all the horses have been viewed, approval is granted for them to begin the first stage of selection of the class, which is normally a selection of horses after ten to fifteen minutes of work in each direction. A cut of the class is then made, usually no more than twelve horses are kept from the cut. Normally in this first stage the riders take their horses in the best possible gait of paso llano. No one covers other horses. Nobody pushes other horses. No one follows others closely. Everyone keeps their distance, trying to have some seconds for their horses to have the best and most distance from the horse in front of them, in a way for the judge to be able to observe them more time and in the best way possible. It is rare to race. It is rare that the announcer needs to call attention to the speed at this stage. Everything is very orderly. Completing the second stage of selection, where certain animals do not make the cut and are removed from the arena, this is when the problem in question appears. The judge has separated one by one up to a maximum of 12 (twelve) animals that considered to have evolved and are the threatening, they point out that come out in the initial tentative order with sufficient distance between horse and horse to be able to observe them in single file manner and as well compare the horses more closely to difference from the previous stage of selection. It is common to hear at that moment: “Riders please go slowly”, “paso llano please”, “the rider who pushes the horse in front of them will be excused from the arena”, “do not cover the horse in front of you”. With this preamble the rider “A” who is first in single file begins the lap around the arena and is are following the exact instructions of what was said by the judge, but suddenly in the second corner or curve of the arena, your presentation in paso llano as requested by the judge begins to feel the pushing and competition of the horses behind you. The first ten seconds rider “A” maintains their speed, and then begins to increase it as if they were chasing after another horse you would like to reach, especially when you have rider “B” near your rump, pushing rider “A” and covering the croup of horse “A” showing a false speed their horse might have to give. With this whole scenario of adrenaline and excitement, rider “A” will start demanding more of his horse so that no one can reach him, and they are confused between the way they should present their horse as a principle, or this race, but there is no time to think or reflect. Your obedient presentation of what the judge asked had the exact duration of a curve and a half and will have been about twenty meters at this speed requested by the judge because by the second curve the exhibitors have already begun to push and exhibit speed, without being asked by the judge if he would like to see it. Suddenly in that single file row of speeding horses, the exhibitors hear a voice saying, “STOP, STOP, STOP PLEASE!! !” and the judge speed walking towards the exhibitors and saying “I said: SLOW! Do you NOT UNDERSTAND? “. “Rider “A” of the first place horse you are not following directions and disrupting the entire class! “. “Rider “B”, you are cutting corners and pushing the horse in front of you and disrupting the class! “. “Good, a little order please. Riders I do not want you to race! Please, rider “D”, pass one placing forward and continue in this order.” The rider “D” passes rider “C”, now ranking third (WHY WILL WERE THEY MOVED FORWARD A POSITION? ). Now, the class starts again in single file and we see that the class once again takes the fast pace of before, but the judge best during the class. Generally the horse that was the first to have been called has an advantage over the successive that come to be called. In this example, we will call this first selected rider “A”, who is waiting to continue the class, to the left within the center of the arena. Consequently, after a few seconds enters the second animal classified led by the rider “B”.  In this imaginary scene can occur that the rider “A” look suspiciously at the rider “B” and this return the gaze toward the first usually in a state of anxiety. The third, the rider “C”, that is to the right of the second feels with possibilities and knows that if he pushes off-kilter the second horse, he can move up a placing and have a chance to push the first horse. The fourth rider, let us call it “D”, you feel disappointed if they thought they would be first in the class, or they feel victorious if they didn’t feel they had a chance in the class. Personally, I think from fifth place down they feel there is not a reason to push the horses in front of them, unless someone has felt they were a favorite and react with a face of disgust before the judges or authorities. With all this panorama, the judges, some form of friendly and others in an authoritarian manner and no longer wants to be unfriendly to exhibitors and general public and refrains to give additional threats. In this point he sees that before the circumstances and the evolution of the cyclical rhythm of the class there is a rider “D” that moved forward to third place and sees them with motivation to compete. The judge notes in his mind, thinks and internally evaluates this exhibitor: This horse has loosened up! They are improving and improving! What a good animal! So arrogant! The second horse of the rider “B” in this moment is already a bit tired and not as arrogant as as he looked in the selection stage. After a few seconds, the riders return to hear the judge say, “STOP! : Rider “D” who is in third place, pass to second place”. In the distance we heard a group of 9 fans who applaud and celebrate the last action of the judge. The rider who was second and now third goes to the rider that is “C”, thinking WHAT DID I do wrong ? Then the rider “A” who is in first is pale and begins to show body language with symptoms of threat and fear that something bad may happen and feels instinctively that the fate of the class might have a dark color. The rider “D” that has passed to second sits in confidence and says to himself, “this is my big chance and I’m not going to miss it!” It is the feeling of a heavyweight boxer you have made two knockouts in the first minute of the eighth round to his opponent and he knows that if you give two additional punches he should win arguably without a problem. The judge gives the indication to restart the class, but again announces they wish to see the horses in a slow gait, and reaffirmed the message: ” ¡RIDERS YOU HAVE ALREADY RUSHED ENOUGH!” But unfortunately the riders don’t pay attention and after another four meters the second rider’s horse “D” continues to evolve through the acceleration that produces basically a run off in the single file presentation, pushing the first horse who was well presented and energetic, but already somewhat fatigued. Finally horse “A” begins to show that instead of going from less to more as the horse of rider “D” who has now gone up two positions, they are still consistent as they have been in the entire class. At this moment, we hear the famous: “RIDERS RANGING FROM THIRD TO LAST, GO TO THE MIDDLE OF THE ARENA, HORSES OF THE RIDERS “A” and “D” ARE LEFT TO COMPETE”. It is in this precise moment where in some occasions we turn to a fourth stage that we call with some good friends, the stage of “ONE MORE LITTLE LAP”. It is a stage that my experiences can be result in three ways. Both first and second go one behind another in a first round and then the second passes forward. Generally the horse that this second exceeds the first because compared to the doubt time applies and in this case they have the most advantage in the end. Coupled with their 9 friends who are cheering on horse “D” and the distance of a horse that has been getting better during the class, causes to lose the first place of the horse of the rider “A”. The second way for the judge to ask each horse to go up and down the arena one by one. Usually this starts by presenting the horse in paso llano and then returning in a higher speed, showing the horses thread, up to a sobreandando. This stage will give rise to many emotions, and the applause produces the final speed of the horse, and puts pressure on the animal that should be the winner. The third stage is that the horses go up and down the arena together, initially in a slow speed and then stretched to the maximum speed. In the same way as the previous pattern, generally the horse who wins is the one that exhibits more speed and exceeds the other. All of this stage focuses on the part when they are presented fast and almost never gives as a result the first pass that is when the horses are presented at a slow gait. All the stages of judging are applied different times, and many times and in general they are misinterpreted and shouldn’t be left for granted. As a general rule this stage should have a precise duration defined. The horses that move up placings in this final step usually do so during classes that are long, and as a product of their ability to move well at a higher speed of gait, and not because they are they most natural or best gaited horses. WHY DO WE NOT RECOGNIZE THAT IT IS NECESSARY FOR ANIMALS ALSO SHOW A FASTER SPEED OF GAIT (SOBREANDANDO)? There is a double standard between what is said and what is done. Much is heard on the part of judges the instruction of “GO SLOW!! !” but is not respected. Now let us be honest and aware WHY WOULD AN EXHIBITOR RESPECT THE JUDGES INSTRUCTIONS IF THE ONLY WAY TO MOVE UP IN PLACINGS IS BY IGNORING INSTRUCTIONS AND PRESENT AT A HIGH RATE OF SPEED? The answer is obvious. The rise in placings in many cases is by destabilizing the horse in front of you. A horse that in our imaginary class is presented quiet, and at the paso llano felt from the second curve in the single file. This horse little by little started rushing, and due to the competition and increase in placings by the exhibitors behind him from them rushing and going faster, they were required to present their horse at a faster rate of speed otherwise risk losing their first place. WHY CAN’T EXHIBITORS COMPLY WITH THE GUIDELINES WHEN THEY HAVE BEEN SO CLEARLY GIVEN? To the stage where the animals have been classified, could be established by the announcer, where a sequence through the sound system with a professional announcer regulate all the aires of PASO LLANO. Must be in a fixed duration of time to make it more orderly and fair for all classes. The judge must express that the initial order is tentative. They can express that they want to prioritize in this final stage the elasticity of the horses, as if we realize the horses have gone slow in the stage prior to selection. Always have the run-offs from slow to fast in the aires of the paso llano. I think that it would not be a bad idea that after the showcasing of the paso llano, that the horse is presented at a higher speed (sobreandando) in the same way, and then the horse is presented slowing towards the paso llano and finishing as slow as possible in such a way to confirm their quality as it should be in a slow, paused speed. It should also be contemplated the idea that in special circumstances when this process is generating disorder, to bring in an additional horse to be ridden by the ring steward in the first place of the category and who is guided by the judge’s instructions to follow the aires that this judge requires. This would be called the “REFEREE HORSE”. The purpose would be that this “referee horse” would be managing the speed of the class according to the judges direction. This referee will allow a better order within the competition. Trying this option, logistically this horse can be distinguished from the rest of presented horses in the competition with a work saddle, etc to make them stand out, could be a viable solution in extreme cases of disorder. Finally, I believe that incorporating these four tools or some of them, they could change the picture that we face where you do not know who are the villains. I personally think that all the actors of the competition we should lead to a better performance for the seriousness of the events that in the past few years we have all been misguiding. Again, rehearsing options costs us nothing until we find the best method to find the best quality animal in the judging arena.